Thu., May 17, 2018, 11:33 a.m.
WINDSOR, England – Ending days of speculation, Meghan Markle said Thursday that her father will not be able to attend her wedding to Prince Harry due to health problems. 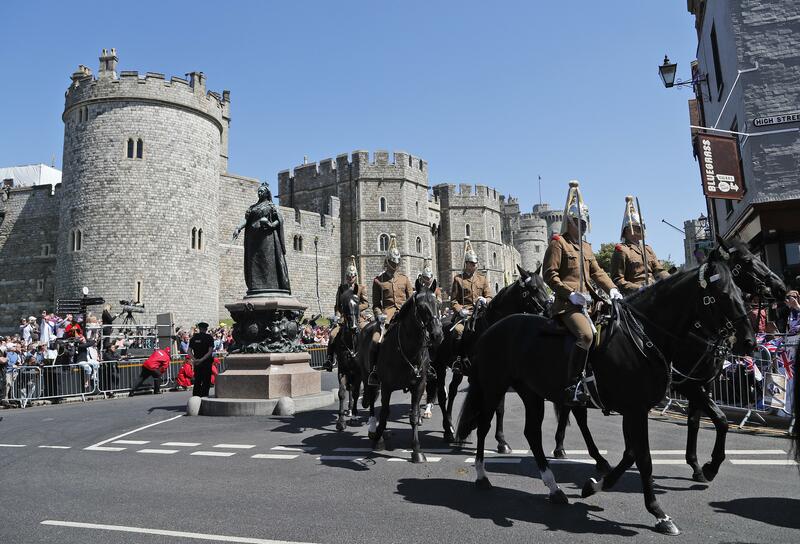 The news came as British military personnel rehearsed for a gala procession through Windsor that will follow Saturday’s ceremony, which will be televised live around the world. Markle’s mother Ragland – who arrived in Britain carrying a Burberry suit bag, a possible clue to her wedding outfit – will meet with Harry’s father Prince Charles and his wife Camilla, Harry’s brother Prince William and his wife Kate, and other members of the royal family that her daughter will officially join Saturday. Published: May 17, 2018, 11:33 a.m.